Find answers now. 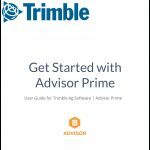 Search or browse step-by-step guides, watch videos and get workflows for Trimble Ag Software. 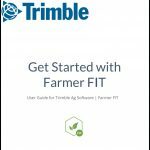 Let us walk you through the first few steps on using our Farmer Fit, Farmer Pro, and Advisor Prime cloud-based software plans. Our printable guides include an easy-to-find publishing date and links to the latest topics here on How-To Central, so you’ll always have access to the most up-to-date help. This document describes the difference in features between the traditional Fleet Manager utility (using the DCM-300 modem) and the FarmStream Fleet Manager utility (using the FmX® integrated display or TMX-2050™ or GFX-750 display). Farming software just got a whole lot easier with Trimble Ag Software. And we make getting started easy with helpful tips to guide you each step of the way. Learn how to sign in and activate your new account, find and manage updates, as well as how to reset your password. Learn how to update your online profile and settings, view licenses and add-ons, and how to manage user and partnership permissions on your account including system access, time tracker and equipment operators. Tailor the online dashboard for your account to edit, show or hide farm and map widgets, or adjust the tiles visible on your mobile app home screen. Keep your client list up-to-date within Trimble Ag Software, with simple online tools to associate or quick-add new clients with fields on your farm. Clients are managed outside of specific crop years. Keep track of farms across your account, without a fixed crop year, to associate with fields on Trimble Ag Software. Use quick-add features to add new farms to your list, or create new farms from your mobile app. Keep track of fields across your Trimble Ag Software account, with or without a fixed crop year. Fields can be added, merged or retired as your business needs change. Manage field details, draw and import boundaries, transfer fields between crop years and more. With Trimble Ag Software, you can track basic details for your crops and crop seasons online and on the mobile app, to see real-time forecasted revenues by commodity across your farm and fields for each crop year. Keep track of your farm storage bins and capacity with Trimble Ag Software, including real-time stats on inventory as delivery transactions are recorded on the mobile app. Use the mobile app to track deliveries to or from storage bins with simple click-and-go screens that can be used by any contact with access to your account. With Trimble Ag Software, your farm materials and purchases can be managed online or on the mobile app, for easy reference when tracking product applications, inventory and expenses. As you manage field activities on the farm such as planting, irrigation, harvesting and more, keep track of dates, actual costs and results in real time with Trimble Ag Software. View or edit activity details online, including a summary of expenses by field with cost per unit of production (CPUP). Eliminate the whiteboard and lengthy operational meetings with Work Orders in Trimble Ag Software. Farm managers can take the guesswork out of operations management, with online and mobile app tools to identify tasks, set priorities, assign tasks to workers, and monitor progress and completion. Learn how to use Irrigate-IQ™, the powerful add-on for Trimble Ag Software that lets you remotely manage pivot irrigation systems from the online account, or with the mobile app from the palm of you hand. 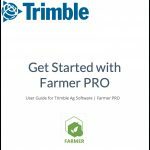 Put your Trimble Ag Software Farmer plan to work for you, with real-life workflows to try out for yourself. Each scenario illustrates a practical outcome in the software that can help you manage your farm business, with quick-start steps that link to more help if you need it. Find more answers for Trimble Ag Software with our FAQs and demo videos, as well as how to contact support with in-app help when you’re logged in online or on the mobile app. Find everything you need to know about using Trimble Ag Desktop (formerly Farm Works) software as well as add-ons for the legacy Farm Works Mobile display app, Advanced Desktop Accounting and WM-Subsurface. View and download the latest user guides or watch original step-by-step videos on Farm Works, with features that still apply today.